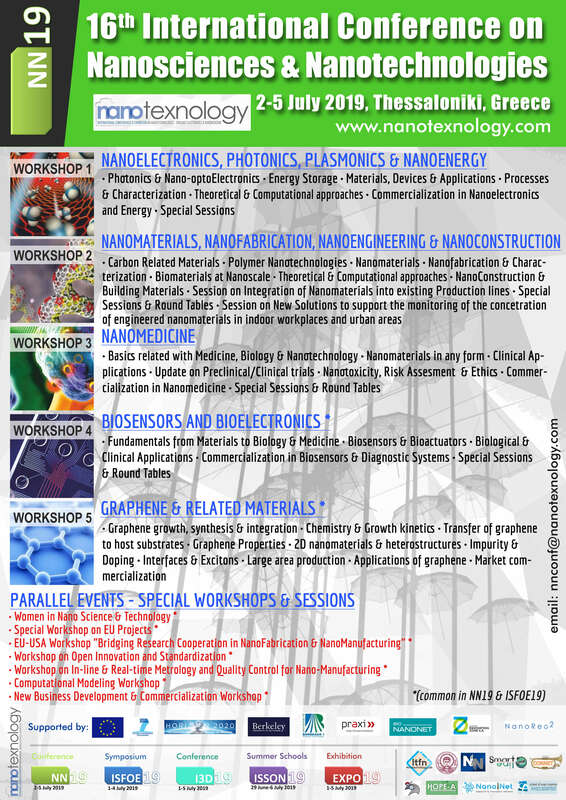 The International series of conferences on nanosciences, nanotechnologies, nanomedicine and nanotoxicology is taking place on 29 June - 6 July in Greece. The event has a number of events including the International Conference on Nanosciences & Nanotechnologies (NN19) happening on the 2-5th July. This will focus on the latest advances in nanoscience and nanotechnology and aims to promote scientific discussions between scientists and researchers from different disciplines and market leaders. An event brochure is available and move information is available on the event website.